The Cool Heat collection didn't really appeal to me that much. It's hard for me to pull off blues. A couple of the colors did look like they would work for me. Warm Chill, Solar White and Warming Trend. Here's Solar White. It's neither Solar nor White. 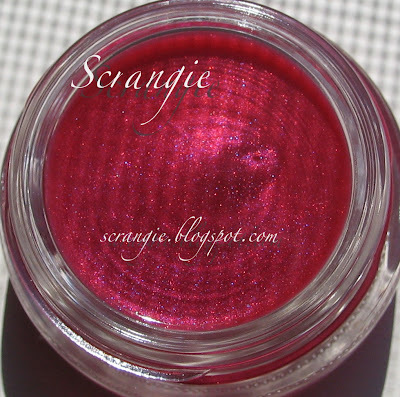 It's described as a muted white gold, but this is totally pink. 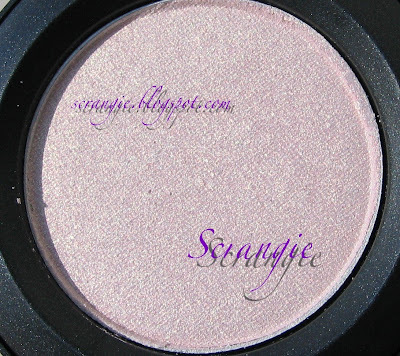 It reminds me of Pink Opal pigment, where it's kinda white but reflects pink. This is Warm Chill. 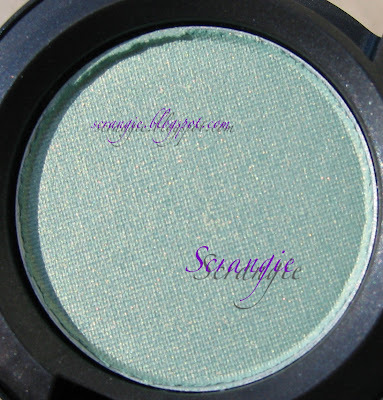 Kind of a sparkly seafoam green color that leans blue and has a good amount of gold shimmer. High 90's Slimshine. I loooooove Slimshines. 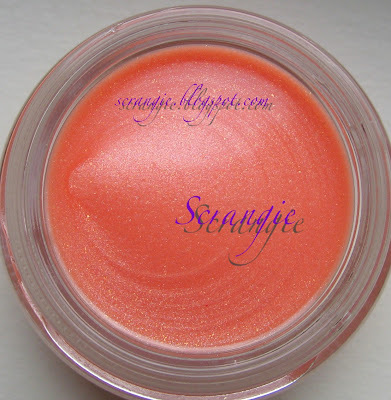 This is a nice orangey pink. Would that be considered Coral? As always, click the pictures to enlarge. I left these all mega-huge so you can get an idea of the texture. Turquatic Heat. Kinda useless to take a picture of perfume, but I really liked the color of the cap and stem. Very cool. 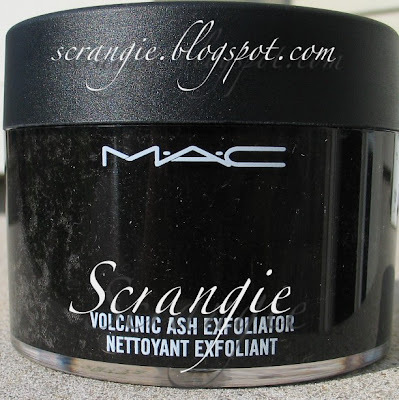 MAC Future Earth Volcanic Ash Exfoliator. I just had to get a picture of this. It's BLACK! 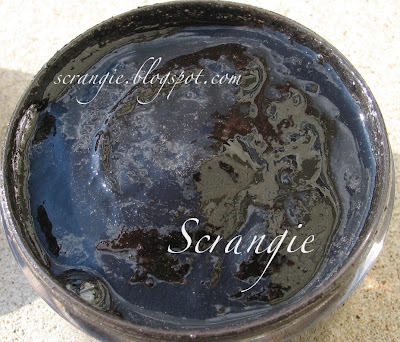 I got a kick out of washing my face with something that looks like black sludge! I'll do a review later on. Honey Bare Tendertone. It's so very nice. 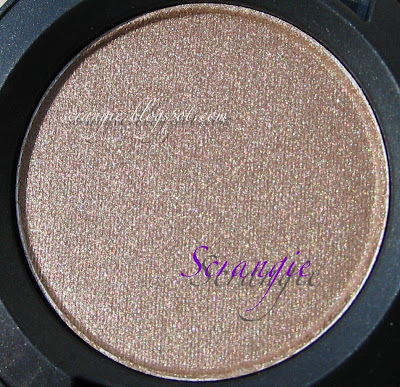 Smells amazing, feels like velvet, adds just a hint of color and shimmer. Love it. Pucker Tendertone in indirect sunlight and with flash. This color is perfect. Can you see all the little multi-colored sparkles in this? 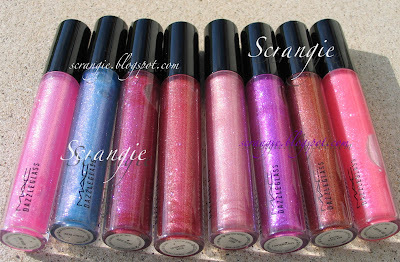 It's not glitter, just little microscopic sparkles! 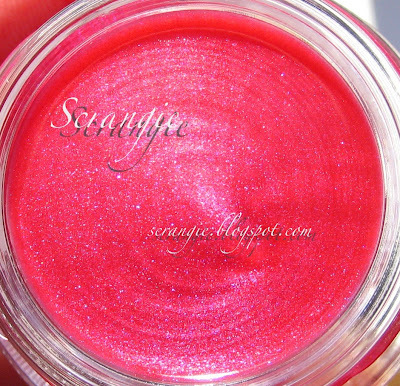 It adds the perfect amount of sheer tint to my lips and a little bit of sparkle that looks awesome when the sun hits it. Metalist Nail Lacquer from Neo Sci-Fi. This is seriously as smooth as molten metal. Look at it, it looks liquid! 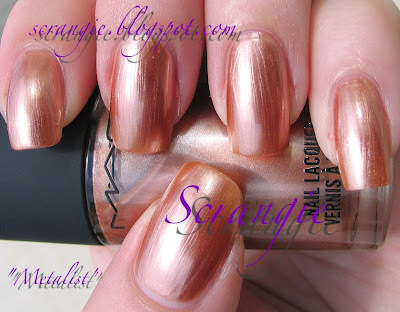 I like this even more than Dior Coppery Ginger. It looked so awful in the MAC pictures, but it looks nothing like them in real life! i hope it doesn't freak you out that I post comments so quickly after you post! of course, I don't really know if that's true because our time ranges are different, but I do know I see your post "pop up" in my reader and i click! Chinchillas are SO COOL! I've always wanted to pick one up- they look like they would be really squishy and soft! I'll do a more in-depth review later, but I really like this as an exfoliator. It's mostly sugar, so you get strong exfoliation until it dissolves, and then when the sugar's gone it still feels a little gritty, yet smooth. And it's BLACK. I'm so amused by that. Doesn't dry your skin, it feels really silky. they are the ultimate soft and squishy! thanks for the sneak peek of the review! Badbomben, lol! 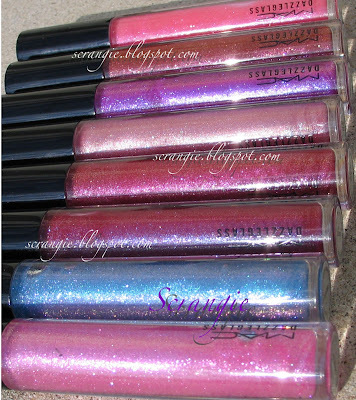 And Dazzleglass is as heavenly as it looks... Truly dazzling! Mizzx, it's actually pretty nice! 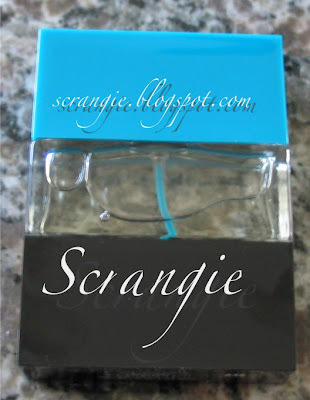 It has the crisp, oceany feel like the original Turquatic, but this time with a little bit of a floral edge. It smells richer and thicker, if that makes sense. Like a really steamy, humid jungle. 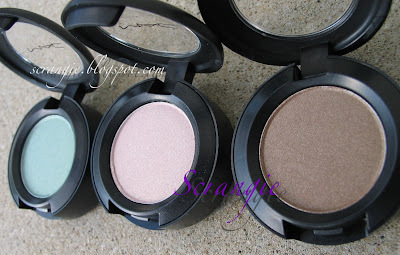 That metalist looks so fab! How was the application? A well-known blog said it was quite streaky. How many coats did you use? I have heard a lot of people talk about the tendertones. I might try one out to see if I like it. Thanks! Asia12mb, that picture is two coats. I did not have any application problems at all, in fact, I thought it was great! It does show brush strokes a bit, but that's the nature of a frost/metallic a lot of the time. Thanks again! Thankfully my DH doesn't check our bank account! Too many goodies!